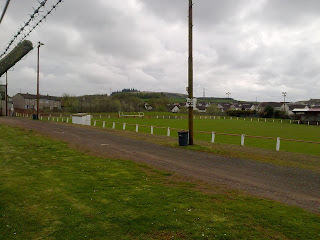 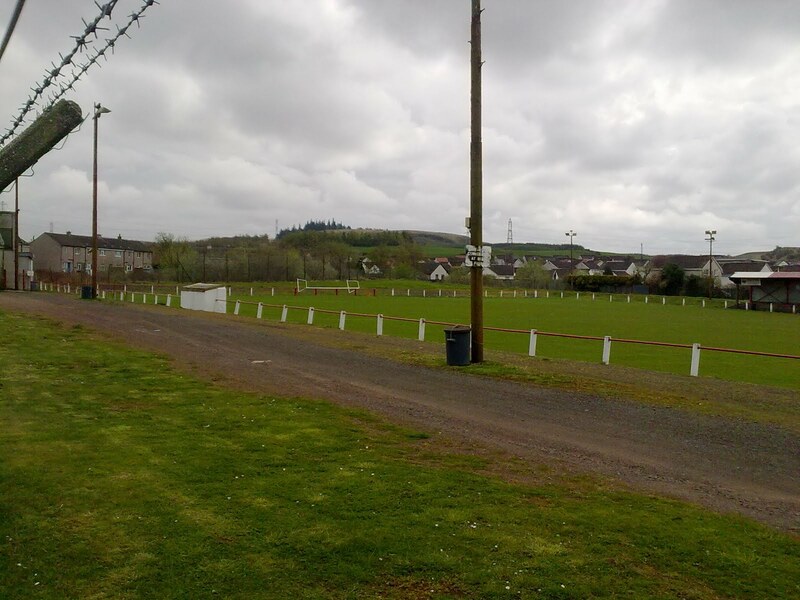 These are some pictures of Brig O'Lea, home of Neilston Juniors, which I took on Saturday 1st May 2010 whilst visiting relatives in Neilston, where my mother-in-law grew up. 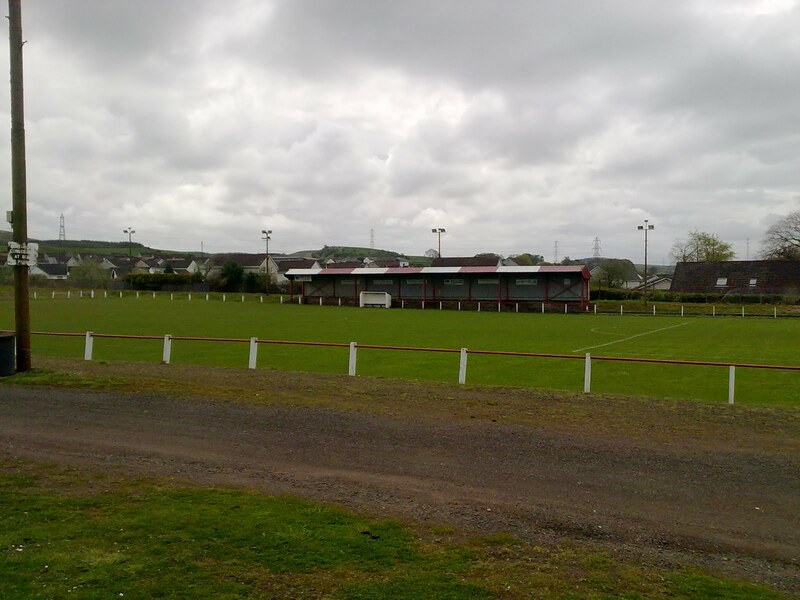 Neilston Juniors, founded in 1945, currently play in the West Region Super League First Division after being relegated last season. According to Wikipedia the ground has a capacity of 2,000. 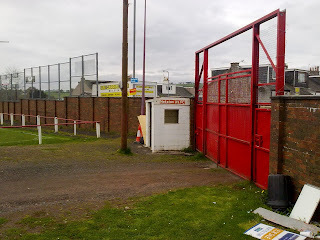 I still have to see a game in Neilston, which is very easy to reach by bus from Paisley. 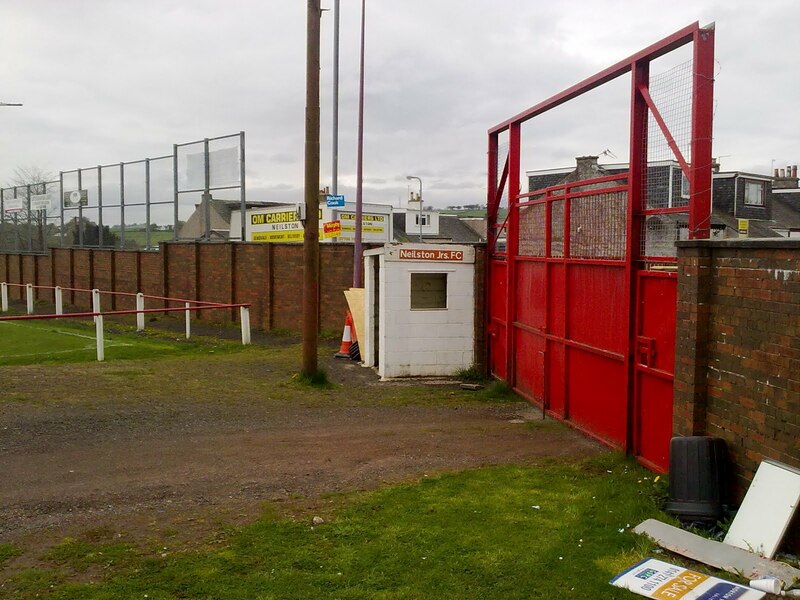 There are no other enclosures or stands.